Barnsgate Manor prides itself on the quality of its food, wine, and excellence of service. It is open seven days a week, 10am to 5pm, for tea, coffee, snacks, lunches and cream teas, in the Manor House Tea Rooms, and also offers a unique venue for wedding receptions, civil ceremonies, celebration parties and other special occasions. Car Repairs 4U are a well-established automotive body shop in Uckfield. We are based on the Bellbrook Industrial Estate repairing accident-damaged vehicles, from minor paintwork scuffs to large panel dents. We also specialise in plastic welding and bumper repairs. Our paintwork is carried out in temperature-controlled spray booths. At Cube Self Storage in Uckfield we offer a complete range of storage solutions for personal and business use. Our storage solutions are flexible, and, whether you require advice on what you can store, how much space you will need, or how to arrange a collection, the Cube Self Storage team here on the Bellbrook Industrial Estate are always on hand to help. Give us a call today. Gorilla Kustoms is an Uckfield-based window film installation company. We specialise in tinting car windows but we also supply and fit window film in the residential and commercial sectors. There are many benefits gained by having window film installed. Please get in touch for more info. Gorilla Kustoms – If it’s glass we can tint it. Uckfield Chamber of Commerce is an organisation of local businesses based in and around Uckfield. Through networking, advice, lobbying and promotion it encourages and supports measures to improve the social and economic conditions of the community. For more information speak to secretary Ian Noble whose contact details are above. A letting agent making life a whole lot easier for landlords and tenants in and around Uckfield. We’re experts in rental property and have outstanding knowledge and experience of the local market. Our membership of top industry bodies means we offer superior guidance and safeguards to those who use our services. Lampon Lets…letting property properly. Italian and French classes in Kingston, Lewes. They are held Tuesdays to Fridays, with a qualified and very experienced teacher. Tuition for groups and individuals, from beginners to advanced, is available, including A level and GCSE preparation. Ample parking. 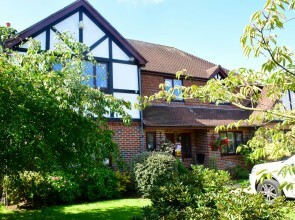 Unity Care Solutions offices are based in East Sussex and Kent. We are specialists in the care of children and adults and our team includes registered nurses and care support workers. Passionate about care, we are committed to delivering the very best care and support possible in the community. Ridgewood Village Hall is a popular venue at the south end of Uckfield. It is available to hire for community activities, groups, clubs, meetings, birthday, christening and celebration parties. Recently awarded Hallmark Level 1 by ACRES, the hall benefits from the adjacent recreation ground which can be hired from Uckfield Town Council to complement activities. Elected volunteers oversee day to day management, and organise community fund-raising events to improve facilities. A major campaign is under way to pay for an extension and refurb planned for Spring 2021. 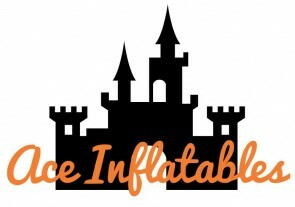 Uckfield-based Ace Inflatables is a company that’s all about fun. 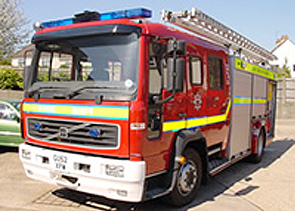 They have bouncy castles to suit every age along with the latest in assault courses and inflatable games which are proving particularly popular with adults. Bluauto is a premium and prestige car dealership operating from two locations in Uckfield and Maresfield. Our Uckfield location offers prestige brands such as Mercedes-Benz, Landrover, Audi, BMW and Volkswagen, whilst our ‘Small and Sporty’ site in Maresfield focuses on exciting small cars from MINI, Ford, Volkswagen, Skoda and Seat. It’s from here that we also offer service and MOT with full online booking 24/7. Bellamy Consultancy and Coaching helps you improve clarity, acquire focus and develop strategy for your business. 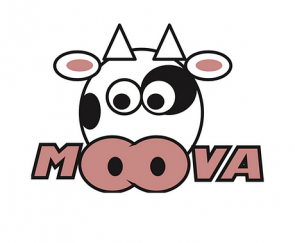 “Very helpful, friendly and reliable”, “Great communication, really professional, reasonable prices”, and “I can’t thank the Moova team enough” – just a few of the reviews received by Moova. Chris is an experienced Aromatherapist and Flower Essence Practitioner also offering Reiki, Massage and Hopi Ear Candles. Her product range, Pearlaroma, contains Pure Essential Oils and Flower Essences. Her work with Flower Essences increases as we look for more natural remedies to help our well-being. They can make a huge difference to our everyday lives changing how we view and deal with stressful situations. Grant and Katherine are mortgage brokers who are local to Uckfield and have more 30 years combined experience in the financial services and property industry. Whether you are a novice requiring coaching, a casual bowler, or experienced and looking for competition we have something for you. We offer bowling indoors and/or out, provide casual sessions, drives, leagues, and competitions for singles, pairs, triples, and rinks for ladies, gentlemen and mixed teams. We also offer external friendly, or county league matches to add to the variety. Charleston was, from 1916, the home of Bloomsbury painters Vanessa Bell and Duncan Grant and became a haven for a remarkable group of progressive individuals, such as John Maynard Keynes, Virginia Woolf, E.M. Forster, Roger Fry, Lytton Strachey and T.S. Eliot, whose cultural impact still resonates. Charleston is now a unique museum with a growing portfolio of festivals and a varied programme of events, workshops and exhibitions. Healthcare professionals set up the Association of Carers after recognising the need for unpaid carers to be able to take regular breaks from their caring role. The association provides free, volunteer-led, services throughout East Sussex, including Uckfield. Carers needing support and volunteers who would like to help are invited to get in touch. We are a friendly and professional firm of Chartered Certified Accountants located in a beautiful rural setting, between Uckfield and Heathfield in East Sussex. At Turquoise Care (Sussex) we are committed to providing the highest possible quality care to people who need extra assistance to lead a dignified and fulfilled life. W E Clark and Son are proud to bring the expertise of four generations of reputable jewellers to Uckfield high street. The family first established themselves in Lewes in 1919 after purchasing an established jewellers that was founded in 1819. Wealden District Council has teamed up with National Grid and Affordable Warmth Solutions CIC to provide funds for the installation of first time central heating in rural homes. The award can only help the first 40 homes install oil-fuelled central heating systems where a full central heating system does not currently exist. Amira’s Kitchen is a Bangladeshi and Indian restaurant in Uckfield run by Towfique and Lauren Ahmed who love sharing good food. Pick from a street food menu at lunchtime, enjoy an Indian afternoon tea or choose a speciality from the full dinner menu. There’s a kids menu too. All are welcome at this friendly restaurant. Acres of landscape garden – influenced by ‘Capability’ Brown and Humphry Repton – are bordered by historic parkland and woodland at this National Trust property. Four lakes have paths around them which circulate through glades and wooded areas. Special events are held regularly, do check the website for details, and you can enjoy a hearty lunch or light bite in the Coach House Tearoom and pick up a gift, souvenir or plant from the shop. 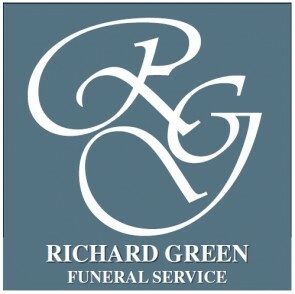 Richard Green Funeral Service is the only truly independent, family-owned and run funeral directors and memorial mason, serving Uckfield, Lewes and surrounding areas. 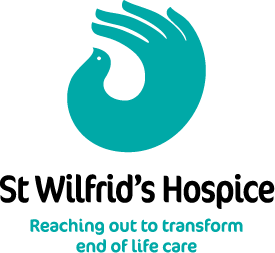 We do our utmost to provide a service that is both caring and dignified, and to make a difficult time easier for a family to cope with. A family owned and run Nursery and Garden Centre with loads to look at and lots to buy. We seek to sell excellent quality plants and good prices. Allied is a local, family run Skip Hire, Recycling and Waste Management Company with a licensed Recycling Waste Transfer Station. Skips sizes range from 4yd to 35yd. We offer a van collection service for small amounts of waste. We have a Licensed Asbestos Transfer Station to dispose of Asbestos correctly. Ryan has worked in the Financial Services industry for ten years. Using his wide experience he is committed to offering every client excellent personal service, ensuring he understands their individual needs and working hard to achieve their individual financial goals. Investments, Pensions, Tax Planning, Estate Planning, Life and Health Insurance, Mortgages and Equity Release. Please mention you saw this listing. Award winning, lightly sparkling bottled Sussex Cider. Medium and Medium Dry available in 500ml bottles 5.2%. Stocked by selected pubs, farm shops and off-licences throughout Sussex. Case orders taken for parties or home enjoyment. Collection by arrangement or free local delivery. We are a family run dealership specialising in new and Network Q Vauxhall car and van sales, genuine parts and accessories, service and repairs for all makes plus we have over 200 quality used cars from an extensive range of manufacturers available from our EMC group stock. My name is Elma McElligott RGN MBAcC LAc I am an experienced licensed Acupuncturist and Registered Nurse with 30+ years experience in health care including pregnancy. I work with a wide variety of health issues including Migraines, tension type headaches, chronic low back pain, osteoarthritis knee pain and Infertility issues. The Blackboys Inn is an original 14th century coaching house set on a 13-acre site in the village of Blackboys just outside Uckfield. Set in the heart of a 312 acre private estate, Buxted Park is a 4 red star hotel close to Uckfield. Understated Georgian styling meets modern comfort in Buxted Park Hotel’s 44 bedrooms. The Dining Room is a two AA Rosette restaurant, where you can indulge in fine dining. If it’s Afternoon Tea you fancy, make sure to stop in at the Coat of Arms Lounge or on one of our Terraces with views across the estate. Special menus have also been created just for children. Chris Dowling is an award-winning and experienced business mentor and adviser. 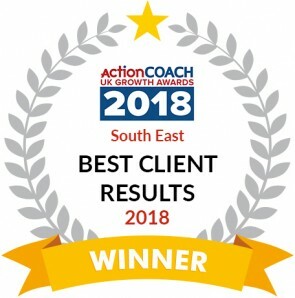 He is based in Uckfield and works across East Sussex, including the Crowborough, Heathfield, Hailsham and Lewes areas and across the UK with clients in the Midlands, London and south-west England. Your local, award-winning independent Travel Agent. Part of Baldwins Travel Group. Travel planning advice, Holidays, Cruises, Flights, Insurance and Foreign Currency. 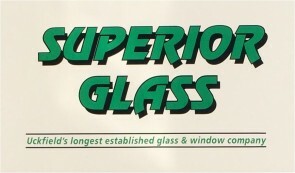 Superior Glass is Uckfield’s longest established glass and window business. It is owned by Mark Wren who was born and grew up in the town. Spirit Elite Cheersquad and Elite Dance and Drama Academy come under the umbrella of RB Arts Academy. They are places for children to come and have fun and learn in a friendly and warm environment. We have two fully equipped studios, with free parking and based in the town. We offer lessons in Cheerleading, Dance, Drama and Musical Theatre for children and also offer Adult Tap and fitness lessons. We are in the community for the community. Beechwood offers gold award, five star, bed and breakfast accommodation in Halland, and has been praised by VisitEngland for offering “exceptional hospitality”. All clothing, and household items, such as duvets, curtains and small rugs, can be dry cleaned in Bell Walk. A shirt laundering and pressing service is offered too and cleaning of specialist items, leather and suede, can be arranged. Alterations and repairs are undertaken and free collection and delivery is offered on orders over £15. A warm welcome awaits SLM Toyota customers from the moment they walk through the door of the Uckfield showroom. Martinez Hair Salon is a unisex hairdressers where you can relax and be pampered in a modern salon with free parking in a village setting. On offer are bespoke hair design, cutting, colouring, blow drying and styling. Get in touch to book your free consultation. East Sussex Hotels don’t come any better! Set in 1100 acres of English countryside, the resort offers a perfect retreat for both business and leisure guests. With 104 beautiful bedrooms, health club, spa and two Championship golf courses. The resort also offers a wide range of meeting and event space which is ideal for day meetings, residential conferences, weddings, or that very special social event. Fuller and Scott, funeral directors, are part of CPJ Field, a family owned company which takes pride in providing the highest calibre of care, commitment and service, both to those who are experiencing bereavement and those who are making provision for the future. We recognise everyone is an individual and that is why we focus on delivering a truly personalised and bespoke service. Darwin House is a small, friendly, welcoming home in Crowborough, for those who wish to live an independent life, without the worries of maintaining their own home. It is run by volunteers and a live-in housekeeper, who provides nourishing meals seven days a week. Residents enjoy hobbies, activities and companionship. 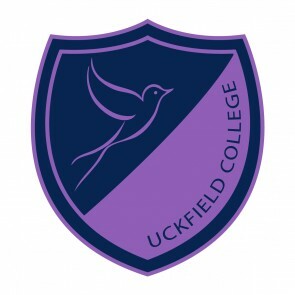 Uckfield College has a strong, caring community of students, staff and parents and we are all very proud of its achievements. We are a family-run business specialising in all animal, pet, horse feed and bedding. We also stock a full range of wild bird feed and feeders. We have easy access, excellent parking and friendly, knowledgeable staff. We are open six days a week and accept all major credit cards. Chestnut Tree is the children’s hospice service for East Sussex. Each year we look after hundreds of local children with life-shortening conditions, their siblings and families, giving them the chance to live life to the full – for as much time as they have together. Wealden Institute is an independent organisation dedicated to the provision of excellence within the psychology and psychotherapy fields. Accredited courses in psychotherapy and counselling are offered along with expert psychology services for the legal profession. Our clinic offers face to face counselling, psychotherapy and clinical supervision services, as well as animal assisted therapy and EMDR therapy and consultancy. We run a specialist trauma clinic for victims of violence and abuse. Find furnishings for your living, dining and bedrooms, home office, kitchen or bathroom at SG Home Interiors. Custom-made furnishings in a style and colour of your choice are also available and the company has its own fitters. Enjoy coffee and cake there before, or after, you browse. Flowers for all occasions and gifts are available at The Flower Shop. Wedding accessories can be hired too. You are welcome to order your flowers in person, by phone or online. We look forward to hearing from you. Weald Event Hire hires out marquees and manages catering for weddings, birthdays, anniversaries, garden and dinner parties, communal, charitable and corporate events in and around Uckfield, East Sussex, and covering the towns and villages of nearby Kent and West Sussex. SJR Hydraulics specialise in the repair and manufacture of hydraulic and industrial hose and fittings. Our trade counter is open to everyone. Triple R Forklifts are the south’s leading independent forklift truck sales, service and hire specialists. Helping you make a fitting choice to honour the person you knew in life. Family run – all aspects of memorial work undertaken – all areas considered – one to one design service – licenced with The British Register of Accredited Memorial Masons. Call 01825 768290 for an appointment (home service available). ACRES is the local provider of adult education offering a wide range of courses across the Wealden area including: maths and English, arts and crafts, languages, health, fitness and personal development, computing and digital photography, business, plus general interest courses, all taught by our expert tutors. Quarry Printing & Design is a print studio based in Uckfield, with a dedicated designer, providing an affordable, quality, printing service to businesses, sole traders, clubs, societies, charities and the general public. It can help with business card printing, brochure printing, leaflets, pamphlets and stationery, photo-copying, typesetting and design, and print finishing. Fine quality suits for all occasions, from business wear to evening wear all fitted and altered for the perfect look. You will also find trousers, sports jackets, shirts, knitwear, shoes and accessories at this shop which has been in town since 1923. This family-run country pub restaurant prides itself on the range of good home-cooked pub food it offers along with cask conditioned real ales. You’ll find a dish and beverage for every occasion and budget along with a fire in the grate during winter months and a spacious garden where you can relax during the summer. 24-hour emergency service is offered, based at Maresfield, so if your pet needs to stay a nurse or vet will be present. Home visits are also offered on set days in and around Uckfield. Excellence in health care for small animals. Opening hours: 8am-8pm Monday to Friday; 9am-5pm Saturday. The Llama Park is no longer JUST a place for llamas. We have free entry to our Restaurant and Coffee Shop, and a highly reputed Fashion and Gift Shop and if you want to pay to go into the park to see the animals we now have horses, Shetland ponies and donkeys as well as the llamas, alpacas and reindeer. Add to that mix our glorious pigs, sheep and a mischievous herd of goats with peacocks, guinea fowl, ducks, geese and turkeys and you have a wonderful place for a cup of tea, a roast lunch, a shopping day out and a lovely walk in 33 acres of beautiful land. A wealth of flooring knowledge allows Fluffy Side Up to advise customers on the ideal carpet for any environment, including residential and commercial, and offer a fitting service of the highest standard. A home selection service is offered. Please call to make an appointment. Solvency Solutions (formerly Armida Business Recovery) offers individuals and business owners FREE, no obligation and confidential initial meetings to help them find a solution to their financial difficulties. A warm welcome and friendly atmosphere await you at the Alma Arms. We serve Harveys Sussex Best Bitter, Sussex Mild and Seasonal Beers on Draught plus a full range of Bottled Beers, Ciders and Wines & Spirits. Home-cooked pub meals are offered Wednesday to Sunday. There is a function room/conference room, car parking and a beer garden with play area for the kids. Oven cleaning specialists. Call today for a no obligation quotation. Locally based in Uckfield with flexible hours offered to suit you. Spirit Elite is an Allstars Cheerleading Squad in Uckfield. Learning the fundamentals of cheerleading from a qualified BCA and Legacy Cheer and Dance Coach. Classes Wednesday 4-5pm for reception to year 2; 5-6pm for years 3 and 4; 6-7pm years 5 and 6; and 7-8pm for secondary school age. Uckfield Anderida is a friendly but competitive cricket club open to all ages and abilities. It runs two Saturday league sides and organises regular coaching for adults and juniors. Kamsons Pharmacy is part of an award-winning, Uckfield-based and family-owned group of pharmacies, which also includes one in Uckfield High Street and another at Uckfield Hospital. They offer a free-of-charge prescription delivery service. Whatever your commercial property requirements Oldfield Smith & Co is here to help. Shops, offices, warehouses, workshops, yard space and factories are included in our excellent selection of commercial property and business space available for sale, to let, or as investments. We also offer a comprehensive commercial property management service. We are a fully independent professional practice of chartered surveyors, regulated by RICS, members of NAEA specialising in commercial property. Luxfords is a friendly restaurant serving freshly made food in relaxed, spacious surroundings. It is open 10am-3pm, Monday to Saturday, serves coffee and homemade cakes, lunches including light bites, sandwiches and smaller appetite dishes as well as daily specials and an all day breakfast. Luxfords is also licensed. Vacher Gardens are experts in garden design, landscaping, and maintenance, working in East Sussex and West Kent. The owner is Uckfield-based Chris Vacher, an experienced RHS trained horticulturalist. Services include building paths, patios, decking and fencing, hedge cutting, lawn mowing and tree surgery. Roof repair and renovation of garden buildings can also be undertaken. No job is too small for experienced Uckfield builder Clive Martin who tackles everything from brick laying, plastering and stone work to fencing, patios and roof tiling. Clive is also happy to tackle smaller jobs around the home, such as putting up shelving. The Grove Farmhouse Café, which is based in a converted farm building, combines a focus on locally sourced, Fairtrade products with a desire to give back to the local community by offering a family-friendly meeting space. It is open from 9am to 4pm Monday to Thursday and until 7pm on Fridays, as wellas once a month on Friday evenings for themed evenings. Sussex Support Service provides good value, flexible person-centred and responsive support for people with dementia. It offers choices for care and support needed, promotes independence in everyday tasks and has friendly, comfortable, settings where they can meet with others and enjoy activities. Barnington role play village, soft contained play structures and a slide for children can be found at Barney’s Play. A separate play area is provided for babies and toddlers and there’s a cosy breastfeeding/nappy changing room. Drinks and fresh food are available and children’s parties are offered with guest appearances from Barney or Becky Bear. Bizezia and OneSmartPlace.com aim to make it easier for you to run your business and to be more profitable. We do that by providing access to smart, new technology and value-adding solutions, ranging from website marketing apps through to business and operational management tools. 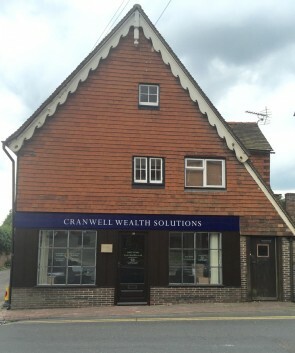 We are located in Newick with administrative office at Haywards Heath. C J Thorne is a specialist civil engineering contractor providing services to the water industry, public authorities and major industrial clients throughout the South East. It delivers projects in the fields of water treatment, reservoirs, coastal and river work, earthworks and landscaping, environmental protection and infrastructure. Lewis Business Media publishes business magazines and websites and organises business events. We currently have three magazines and websites, one which we own and two which are published on contract for third parties. High quality accountancy and business advice is offered by chartered accountants Simmons Gainsford who have offices in Uckfield and London. Tressler Coachwork specialises in the repair of accident-damaged motor vehicles to a very high standard. Call us if you have had an accident whether in a private or light commercial vehicle. Other services include wheel alignment, air conditioning gas recharge, paintless dent removal, windscreen repairs, refurbishing of scuffed and textured bumpers and alloy wheels, valeting and vehicle protection with Supagard. Two shops, The Bell Walk Emporium and Sew n Sew and Haberdashery, in the Market Hall, Uckfield, offer a huge variety of goods between them, from wool to greetings cards and from irons to children’s back packs. This care home specialises in the care of older people who are mentally frail with confusion, dementia or Alzheimer’s disease. The staff team is skilled in this specialist care. Forest Lodge is a large Edwardian country house which has been tastefully extended and is set in eight acres of safe gardens. We are a fully independent, family owned and managed business and are committed to providing the best products together with sound, impartial advice and competitive prices. Consequently, the range we stock differs markedly from the ranges on offer in the various large multiple chains. Our range is orientated towards the more serious sports person and is dominated by specialist sports brands as opposed to general sports/fashion brands. We always emphasise functional ahead of fashionable (although of course, the two often coincide)! Carefully sourced and hand-painted furniture, homeware and home accessories can be found at Josefina. Call in too for chalk paint and wax if you would like to give your own piece of furniture a new look. Lifestyle and Interiors store that stocks beautiful and unusual items for your home as well as stylish accessories including scarves and bags. Incorporating a gallery area for local artists with exhibitions changing monthly. Well worth a visit to find something unique that’s not available on the high street! Mixed ability drop in yoga classes for all ages and stages are held mornings and evenings at our Uckfield High Street studio. There are also pregnancy yoga, and parent and baby yoga classes. Stretch your body, calm your mind and soothe your soul with Grace Annand. A warm welcome is promised at The Highlands Inn, a family-friendly pub, which offers a broad selection of high-quality food to suit all tastes and dietary requirements, all home-made and locally-sourced. You’ll also find a great selection of drinks, including some personally selected real ales. There’s plenty of room for parking. We are the centre for volunteering opportunities and offer local information including bus and rail timetables, events, tourist information, details of organisations and charities, hearing aid resources, CV writing services and advice, photocopying and laminating. Membership is open to individual volunteers and local organisations – join us to take advantage of all the benefits. For anyone from age three years who loves to move to music and perform. Classes in Ballet, Tap, Jazz, Modern Dance and Musical Theatre. Examinations in all theatre subjects with opportunities to compete in dance festivals and to perform in professional theatres and pantomimes. Take a look at the many classes and opportunities we offer via our website. Design & Display Structures are GRP sub-contractors building spectacular architectural themed features for the construction, retail, simulation and leisure industries. A full design, supply and installation service is offered. The Lady Golfer Club makes the ladies game more accessible and affordable at every level with great incentives and rewards. All are welcome irrespective of ability, age or level of fitness. Let fire inspire: Artisan lampwork glass beads made at the torch flame. Glass artist Rebecca Weddell runs courses in the captivating craft of lampwork glass beadmaking, and creates unique beads for jewellery designers and crafters to use in their work. We make quality bespoke picture frames, mirrors and display cases in our Uckfield workshop. We give a fast friendly service, providing cost effective solutions for companies and the public alike. You can also find us on Twitter and Facebook. SJE Marketing offers effective copywriting for your website, SEO, and works across all media. Give your marketing a boost, by converting visitors to clients, with persuasive, informative copy. Specialising in Wordpress websites, Twitter, Facebook and Linkedin. A sister company, Premium CVs offers CV writing services with consultation, covering Uckfield, Sussex, Surrey, Kent and The Midlands. Uckfield & District Lions Club raise funds and organise events to support the community. This family firm serves domestic clients, small trades, landlords and businesses looking for an experienced and fully qualified electrician. It promises good honest advice, prompt service, competitive prices and is backed, and assessed annually, by the NAPIT Electrical Installers Scheme. The award-winning Brickmakers Arms is a warm and welcoming pub in the heart of Uckfield. Its food, drink, gardens and work within the community have all received accolades. The Brickmakers Arms is also on Facebook. The Laughing Fish at Isfield is a traditional Sussex pub offering a range of well-kept cask ales and homemade food from good quality ingredients. A warm welcome is offered to all and there's good wheelchair access. Food review. Horlock Holdcroft are passionate about offering advice on retirement planning, insurance protection and wealth management solutions to individual and corporate clients. The company is authorised and regulated by the Financial Services Authority. Ref. No. 515774. Fine art, original paintings, artwork, limited edition prints and new releases from the collectible artists like Doug Hyde, Caroline Shotton, Craig Davison, Fabian Perez …. to the up and coming. Visit the Gallery or view our artists online. Join us on Facebook to follow our artists’ news, special offers and latest releases. Team 4 are your local bookkeeping practice. With over 25 years experience in East Sussex we can fulfil all your bookkeeping requirements including VAT, Payroll, CIS, Management Accounts and Sage Software Training and Support. Victoria Remmen, Qualified Dog Groomer, caters for your dog’s individual requirements. Hand stripping, clipping, bathing, de-matt, nail trim and micro-chipping at a fully equipped salon in Piltdown. A small boutique in the heart of Uckfield. Full of women’s fashion and accessories, including gifts and homewear. Street Dance, Contemporary Dance, Cheerleading, Zumba and Fitness Classes are offered by Universal Dance at a variety of venues around East Sussex. There are classes for all abilities and ages from four years to adults. Hartfields is an independent store and cafe which aims to provide great, fresh food, locally sourced wherever possible and full of flavour. There’s ample seating inside and when it’s sunny you can relax outside and what the world go by. 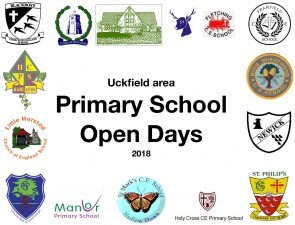 News is gathered and written by experienced journalists for the Uckfield News website which is updated everyworking day. We also offer a range of ways of promoting your organisation on the site. Bespoke designers, manufacturers and installers of GRP/fibreglass mouldings and architectural cladding systems. Building spectacular themed features for construction, retail and leisure industries. Teaching all customers safe driving for life not just for test. Home, college pick ups and drop offs flexible working hours with competitive prices. For Usborne Children’s Books check out my website, link below, and call me with your order, or pop round for a coffee and browse through my stock. I can come to any event you are organising and give generous commissions and discounts to schools, preschools, charities and individuals. Or contact me for details of Usborne’s flexible earnings and opportunities. Cannadines can supply and install your perfect luxury kitchen, bedroom or bathroom. We’ve been doing it for three generations, and are very good at it. We can guide you through the process from start to finish. We also offer a ‘supply only’ service if you have your own fitter. Curtains and blinds are handmade in Uckfield by The Window Dresser Dianne Edden who has many years of experience. All are made to your requirements using your own materials, or chosen from fabric books that can be left with you. Dianne aims to provide beautiful window dressngs to enhance your home. See Dianne’s contact details above and please call her for more information. Driving Instructor Keith Edden is fully qualified, patient and friendly. He runs courses for complete beginners, intermediates, refreshers and Pass Plus. Sara offers practical and honest advice, backing this up with beautiful items made with the utmost of care. Curtains, blinds, pelmets, quilts, cushions, and much more. Alterations regularly undertaken. A complete supply service is available offering plenty of choice: tracks, poles, fabrics, and trimmings. TR Fastenings Ltd is part of Trifast plc, and is a global engineering, manufacturer and distributor of industrial fastenings and Cat C products. We have 28 TR locations, of which eight are high volume production manufacturing sites producing over 33% of the product sold and distributed to over 60 countries. TR has a global footprint that meets the needs of the multinational OEM’s and Tier 1’s that we support. Free service for unpaid carers in the community who need a break. Just Simply Organised offers an efficient service for small businesses seeking to outsource bookkeeping, payroll, secretarial services or call handling. We offer flexible packages tailored to suit individual needs. Furniture and soft furnishings, lighting, bedroom and bathroom linens and more can be found at Carvills. The shop also offers a full interior decoration service including upholstery and curtain-making. Limelight takes dance and gymwear direct to schools and clubs. Also available are uniforms for Beavers, Cubs, Scouts, Explorers, Rainbows, Brownies and Guides. Owner Jenny Baker would be pleased to hear from you if you would like to book a visit. Orders can also be taken online. Claire Davies hairdressing services include personalised specialist treatments and relaxing head massages designed to both treat and de-stress you. T J Barbers Shop has been providing tradition and style at its very best for the last 17 years in a relaxed and professional atmosphere. The Rennie Dance Academy offers RAD ballet, ISTD modern, tap and jazz classes in Uckfield and Newick for children aged from three years. An independent family-owned commercial estate agency, specialising in the sale and letting of all types of commercial buildings, shops, offices, factories, warehouses, land, redundant farm buildings and investments. Professional services include lease renewals, rent reviews, rating appeals, valuations, together with commercial property management. Gavin Absolom is an independent financial adviser and general insurance consultant. Uckfield Civic Centre has six function rooms that can be booked for parties etc. Shows are held throughout the year in the Weald Hall. The Civic Centre also has a restaurant, licensed bar and full in-house catering service. So whether you want a quick coffee or a longer lunch, call in at Luxfords restaurant. S. Siggs and Sons, who are members of Checkatrade specialise in fencing and all related work. They are also able to build bespoke wooden designs to order. The thigh bone’s connected to the hip bone, the hip bone’s connected to the … and so on. Each part of our body is dependent on another to work effectively and it is worth bearing that in mind if you are struggling with pain – you might think you have a back, hip or knee problem but the cause could lie elsewhere. Chiropodist/Podiatrist Karen Bedwell says that when pain is caused by misalignment of the lower limb there is an effective remedy. She uses computer-aided technology to produce bespoke orthosis (prescription insoles) for patients. Karen is a member of the British Chiropody and Podiatry Association and registered with the Health Professions Council. Mention this UckfieldNews.com listing and Specsavers will offer you an eye test for £10. They are open Monday to Friday 9am-5pm, Saturday 9.30am-5pm and Sunday 10am-4pm.